True Water Australia is excited to announce its acceptance as preferred supplier of a new Lord Howe Island Waste Water Treatment upgrade. 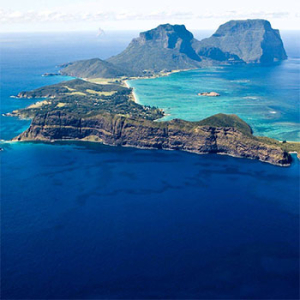 Lying 600 kilometres directly east of Port Macquarie, Lord Howe Island is just ten kilometres long and, its widest point, 2 kilometres across. With just 350 (approx) permanent residents, tourism regularly more than doubles the population. 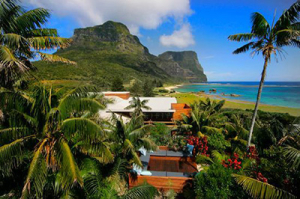 The fragility of Lord Howe’s ecosystem makes efficient, thorough, reliable wastewater management absolutely vital. The Island’s current management systems are in a state of disrepair, frequently failing and in much need of complete upgrade and replacement. Earlier this year, TWA Design & Consultancy Group Manager, James Mahoney, was invited by the Lord Howe Island Board, the island’s administrative committee, to present his recommendation for the project. Highlighting the superb, and highly applicable, advantages of its Advanced Secondary wastewater treatment systems, the TWA proposal incorporates CE-1500EX systems – for individual properties – an the larger CE-4200 and 6000 systems for multi-residence and small commercial application. This level of technology provides not only exceptional wastewater treatment, but also longevity, discrete and sympathetic environmental integration and exceptional cost-effectiveness. A distinctive factor in the Lord Howe Island project is the site’s proximity to the mainland. Previous wastewater treatment systems have been seen to fail as much for their lack of regular servicing and maintenance as for their inferiority. True Water Australia’s assessment of the project requirements has recognised the need for technicians to be on hand at all times to regularly supervise the systems in place. With over 600 kilometres separating the island from the mainland, the potential logistics of this are significant. The simple construction and easy maintenance of these systems enables True Water Australia to provide onsite training for key, resident individuals, allowing the island to sustain itself, rather than be reliant upon mainland support. The issue of location also arises in the delivery and installation of the new wastewater system, but with the lightweight, durable and compact construction of these systems, shipping costs are greatly reduced and the temporary environmental impact caused by installation is of an absolute minimum, especially given True Water Australia’s extensive experience in installing systems in challenging and environmentally sensitive locations. True Water Australia is thrilled to be recognised by the Lord Howe Island Board as a shortlisted candidate for the supply of the island’s wastewater management systems, and the opportunity to provide a sustainable, environmentally sound, financially beneficial service to this exquisite location.